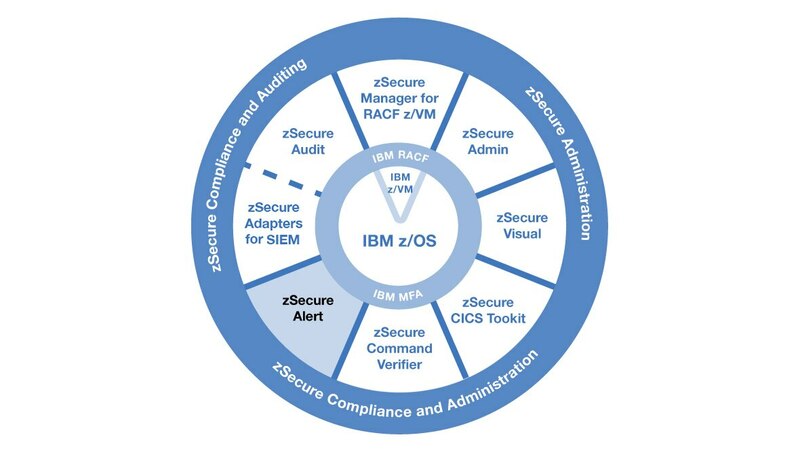 IBM® Security zSecure™ Alert helps you establish mainframe monitoring as part of your enterprise threat monitoring approach, monitoring for internal and external threats and improper configurations. zSecure Alert provides responsive incident management and streamlines audit efforts to reduce security housekeeping on the mainframe, enhance your system availability and supplement access controls. With automated real-time compliance monitoring on the mainframe, it helps reduce your cost and exposure. Predefined timely alerts enable you to quickly detect inappropriate actions or user behavior to provide you more efficient incident response. Unlike other products that only detect breaches from system management facility information, zSecure can also detect malicious activity ― even when not recorded in the event log. Automated real-time compliance monitoring on the mainframe helps reduce your cost and exposure associated with failed audits or compliance. Intercept problems that can damage your business through availability issues and security. Quickly diagnose and respond to exposures through closed-loop monitoring, intervention and remediation.